On Friday Wigan Athletic travel to face SC Paderborn, newly promoted to the Bundesliga for the first time in their history. In May, Paderborn clinched second place in the Bundesliga second division with a 2-1 win in the last game of the season at home to Aelen. As with Latics entering the Premier League in 2005, the skeptics are not expecting Paderborn to survive for long in the higher league. 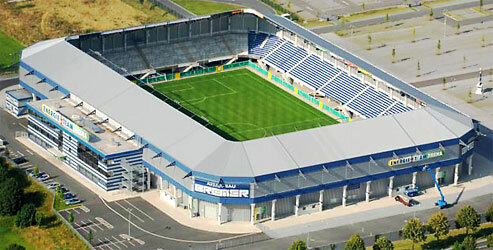 Paderborn play in the Benteler Arena, which has a capacity of 15,300. They will be keen to prove their critics wrong by holding their own in the Bundesliga. Over recent seasons Wigan Athletic have had more than their fair share of injuries and Uwe Rosler will be keen to get his squad in good physical shape for the opening Championship match against Reading on August 9th. Although they are convalescing well from major injuries, neither Chris McCann nor Ben Watson is going to be available over the coming weeks. Shaun Maloney has not played a single minute in the five pre-season matches up to this point and James McArthur’s only action has been coming on as a 72nd minute substitute at Dusseldorf. On top of that, Marc-Antoine Fortune, Rob Kiernan, James McClean and Andrew Taylor have picked up injuries in the pre-season preparations. However, apart from the injuries, Rosler has managed to share out the playing time among the rest of the squad. Most of the senior players have amassed between 220-250 minutes of playing time in the pre-season games with Havelse, Walsall, Besiktas, Rochdale and Fortuna Dusseldorf. With so many midfield players unavailable the 21 year old Fraser Fyvie and 20 year old Tim Chow have stepped up to the plate and have amassed 375 and 369 minutes of playing time respectively. Another young player, James Tavernier, has played 332 minutes. Of the senior pros Leon Barnett has had the most playing time, 290 minutes. The three goalkeepers have shared the playing time, with Ali Al-Habsi having slightly more than Scott Carson or Lee Nicholls. The last pre-season match typically provides indicators as to the manager’s preferred starting XI from the players available. Rosler will be keen to get his most experienced players ready for the beginning of the league season, but will have to tread lightly in the case of James McArthur, who is still trying to overcome an injury suffered at the end of last season. Rosler will look for experience in midfield and Don Cowie is likely to be a starter. Fraser Fyvie has come in from the cold and it will be hard for Rosler to leave him out of the starting lineup, given his good recent performances. In defence the injury worry is Andrew Taylor, likely to be the preferred left back against Reading. Given the inexperience of Aaron Taylor-Sinclair, Roger Espinoza might be retained as a left wing back. There are good options in the rest of the defence. Ivan Ramis has played in all five pre-season matches, with 272 minutes of game time. Rosler will be hoping to get the Spaniard to the level of fitness he had before that cruciate knee injury at Fulham. He is likely to line up in the centre of defence with Emmerson Boyce. Leon Barnett and Thomas Rogne have both played in all five games and will challenge for a place, together with Rob Kiernan, if he is fit. The solid and dependable James Perch is likely to start at right back, with the more attacking option of James Tavernier available later in the game. It could be anyone’s guess who will start in goal. Latics are blessed with two experienced and highly capable ‘keepers in Ali Al-Habsi and Scott Carson, with the huge potential of Lee Nicholls breathing down their necks. Up front we can expect Oriel Riera to play as the target man. Callum McManaman has been getting fitter and fitter and the 90 minutes he put in at Dusseldorf is something he has not been able to do for a long time. McManaman is typically played on the flanks, but might well find himself in a more central role, effectively as a second striker. Latics have been so short of players with the ability to finish, but Riera and McManaman are players who can show the kind of coolness and poise needed to put the ball in the back of the net. Martyn Waghorn scored two goals against Besiktas and will challenge for a starting spot. Following a poor defensive display at Dusseldorf, Latics will be keen to tighten up at Paderborn. Once again Rosler will employ his high pressing, high intensity tactic in the hope that Latics can sustain it throughout the match. The Paderborn match is an important one for Rosler in that he needs to get his key available players as match fit as possible. Paderborn will provide tough opposition, but Rosler will be looking at the performances of individual players more than at the result of the game. Last year Owen Coyle’s squad enjoyed success in terms of results in their US tour, but were to be palpably short of match fitness as the season progressed. 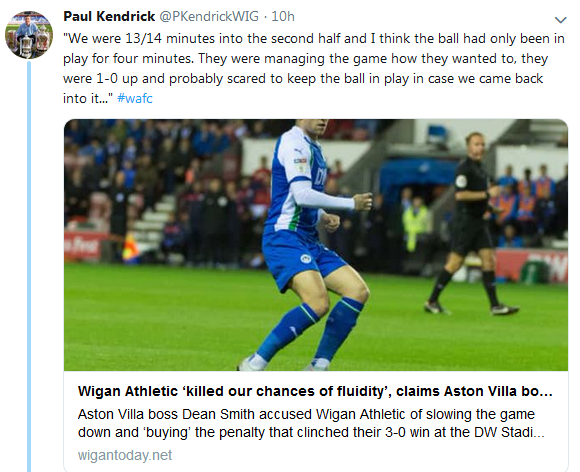 Rosler and his conditioning team are clearly demanding more of the players and despite the current injury situation, they will are unlikely to be deterred. The success of the high tempo style that Rosler seeks is dependent on the players’ physical abilities to meet its demands. It promises to be a fascinating contest and an indication of what we can expect over the coming weeks.